After 6 weeks of repairing, cleaning, and imagining The 195 is now, almost, fully functioning and ready to go. To reiterate this point, we invite everyone to a showcase of the space; where we will come together to enjoy live music, vegan food, and general merriment. The event will take place on Friday 11th october (one for the diary) and will run from 7pm-late; donations towards running costs, paying bills etc greatly appreciated. In the mean time, The 195 Freeshop is open Sunday-Tuesday and Thursday 3pm-6pm, we have comedy Improv on Tuesdays from 7pm, and film screenings every Thursday from 7pm; we are also running a language school which currently boasts lessons in Italian, French, Spanish, German, Arabic, Portuguese, Japanese, English, and Russian (for full details of classes and times see Language school Post). 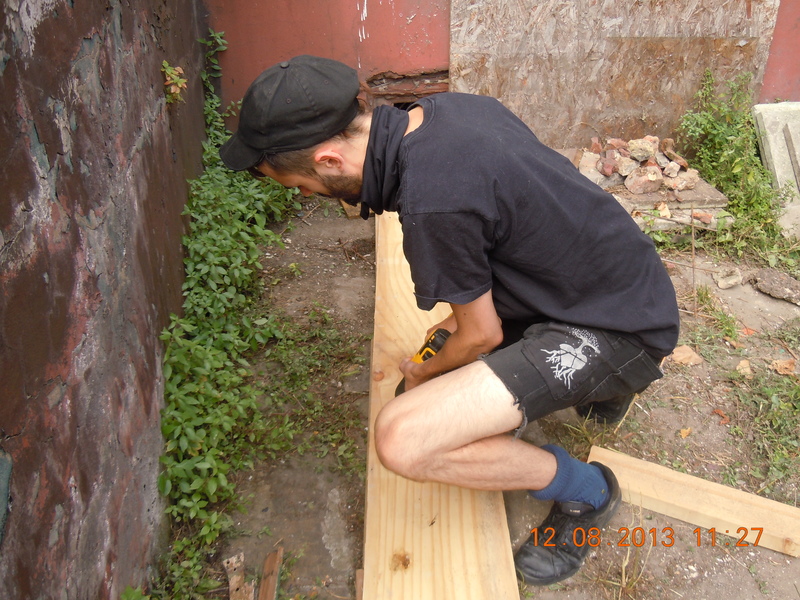 Volunteers to help with the general organisation, cleaning, and bringing new ideas/projects to the space will be greatly received. More details of the opening event including list of performers etc to be posted soon on our blog; see you on the 11th! 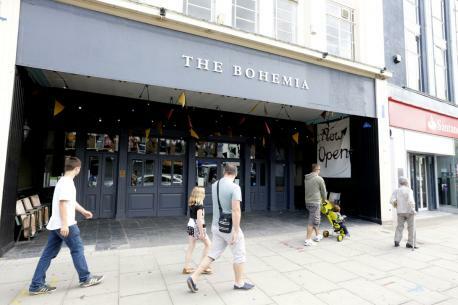 The bohemian pub on Finchely High road has been squatted and is on its way to becoming a thriving community centre. It was opened by the same crew from that reopened Friern Barnet Library last year library last year. They want to open it up as a ‘community hub’ and there going to use the space for games nights, cinema nights and other things. I’m really excited to see the space get going. 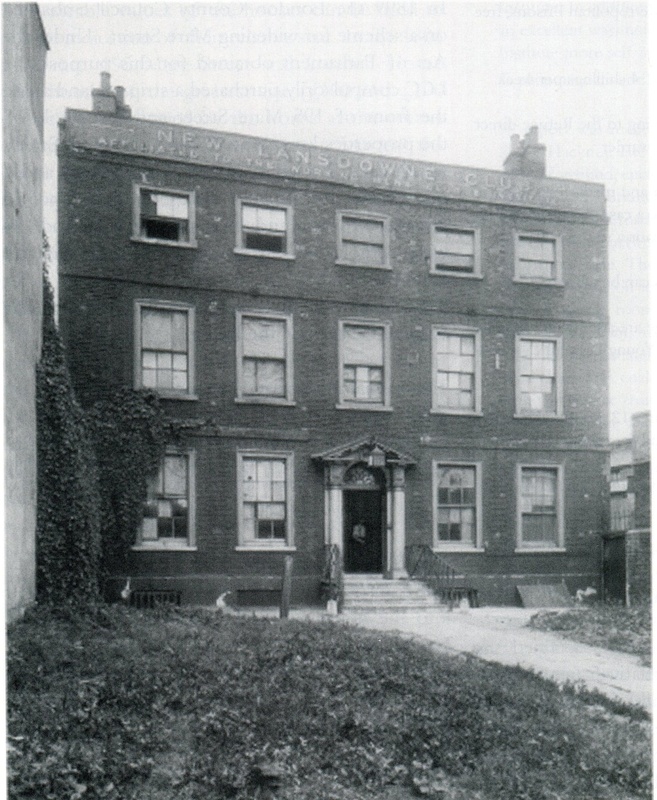 It looks like a fantastic building that they can start hosting events and workshops in straight away. They are holding an public meeting today at 7pm. Get down there and share your ideas. It’ so fantastic that the community social centres are coming back north of the river. its exciting that we’re working on these projects and we hope that others will begin to see the value our communities centres have. Tell your friends, get everyone you know involved – talk to a random person on the street and in the back alleys, let them know whats happening. Share your ideas, get involved, express yourself. Yesterday, the guys worked hard at removing the weeds from the front garden so stuff can be soon planted. The rooms on the top floor that had pigeon poop all over the place have been cleaned out, and we have a temporary cooking space. It was a great day with lots of hard work and many a conversation. Some of the guys went on an epic skip trip as well yesterday!!! — some students (and maybe some other random people) threw out the entire contents of where ever it was that they lived. I’m guessing fashion/art students as we’re stocked on oil paints and over large paper. Lots of clothes, bedding and kitchen stuff was thrown out as well as random food stuff—- yaaay bean protein!!! We’ve now got enough stuff to start our own free shop, so we’re gonna have to start sorting out the stuff and building an area for these things. 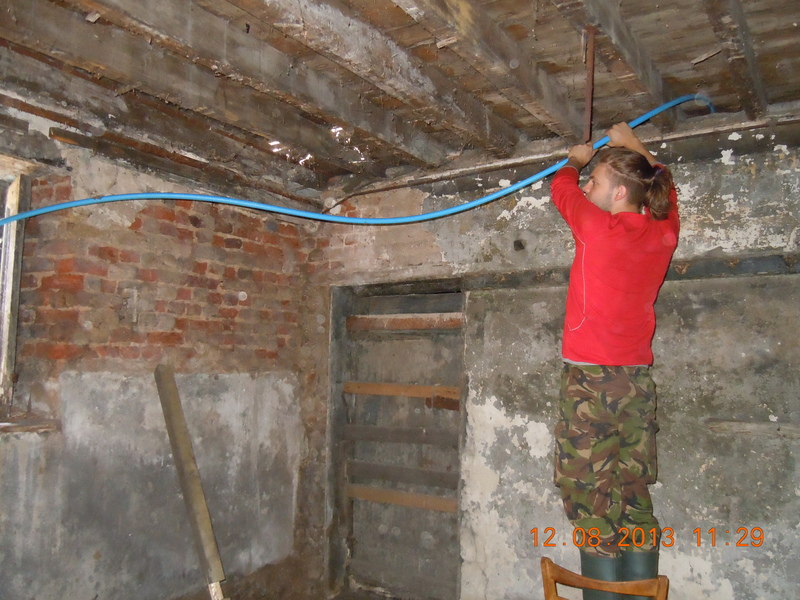 Some of the boys have been working on connecting our water today – so we can have flushing toilets. Good times. On Wednesday we’ll be having an Open day — so if anyone wants to come down and help clean up the building and set up spaces for different workshops please come down from 10am. We’ll be working all day as a team till around 5.30pm.. Hopefully we’ll be able to skip some food and make some dinner and relax a little before we open up a meeting. If you would like to voice your ideas, make a proposals and genreally get involved in running the social center come to the open meeting at 7pm to share with us. Getting stuck in by 195 Mare street is licensed under a Creative Commons Attribution-NonCommercial-NoDerivs 3.0 Unported License.